When we all think that 9mobile will be sold out to Globacom, another news has it that Teleology holdings LTD will become the new owners of 9mobile. 16 bidders had indicated interest in acquiring the mobile network but after a long bids, Teleology finally emerges the owners of 9mobile. Incase you don't know, Teleology is a company promoted by Adrian Wood, the first CEO of MTN Nigeria. Sources, who were at the meeting in Lagos, yesterday, told The Guardian that Teleology, a private equity firm with an investment portfolio of $11 billion, offered more than $500 million to acquire the mobile network while Smile Communications offered about $300 million. 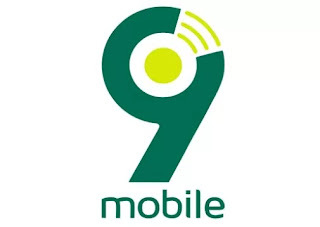 The sources stressed that that Teleology Holdings has been given 30 days to prove that it has the financial resources to take over 9Mobile, which currently battle to retain 17 million customers and improve on its 12 per cent market share. The Nigerian Communications Commission (NCC) and the Central Bank of Nigeria (CBN) would still meet to consider Barclays Africa’s recommendation of Teleology Holdings for 9Mobile because of the licensing laws. Note that if Teleology doesn’t complete the process, the offer would go to Smile Communications. The countdown continues. Wow, out of the blue..never heard of then before. Hope it all turns out well for the consumers. Wow, cant wait to see how it ends. I pray for a good buyer. Can this pipu bring new ideas n improvement? and can they create a comfort zone for customers that would bypass the eti and 9mobile experiences.